Real Estate Radio Talk is a show that talks about everything and anything Real Estate. From the latest trends and data, to buying and selling tips, to investing, to the ins and outs of a real estate deal, even commercial real estate – this show covers it all. Informative, fun, and upbeat, Real Estate Radio Talk is hosted by local professional Realtors, Greg McDaniel and Tiffany McFarland. 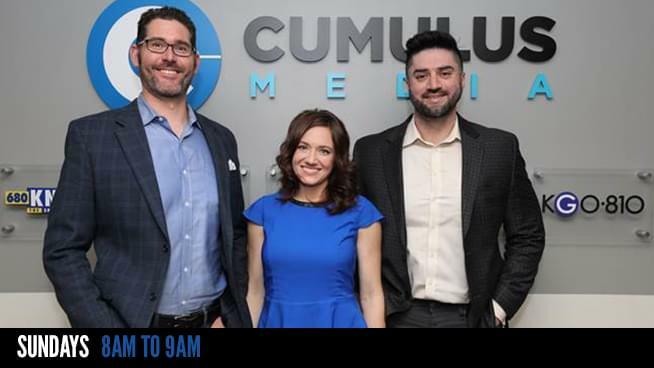 The show delivers real estate knowledge, advice and tips, educating the listeners and providing expert perspectives in a fast-paced, entertaining style. Make sure to tune in every Sunday morning from 8:00-9:00 AM on KGO810. Click here to listen to Real Estate Radio Talk. Tiffany McFarland is a Licensed Real Estate Agent in California and works for eXp Realty of Ca, INC.
Greg McDaniel a Licensed Real Estate Agent in California and works for eXp Realty of Ca, INC.